3) Reflect on what you’ve read… It’s that simple! Days 32 & 33 are prep days for THE day of the current cycle you are in –See Schedule. Also because I believe, as many other devout followers of Christ, that we “in the days of Noah“, and just like those days people where “eating and drinking… marrying and being given in marriage… right up to the day when Noah and his family entered the Ark and the flood waters came and carried everyone away” (cf. Mt 24:37-39). As such, we need to get onto the Ark, but the Ark of the NEW Covenant – Who is Jesus Christ. But who OR where is this ark? 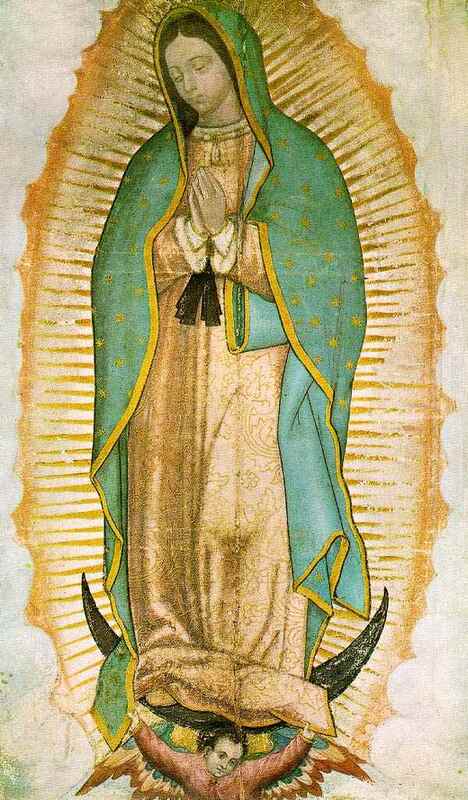 A great sign appeared in heaven, a woman clothed with the sun… on her head a crown of 12 stars. So, according to St. John’s vision as we read in the scripture above, plus referred to back on that Introduction page, Mary IS the Ark of the NEW covenant (Who IS Jesus), and as such those who come to her will have an advantage : a firm hold of our Salvation! “Dear children! Pray in this time of grace and seek the intercession of all the saints who are already in the light. From day to day may they be an example and encouragement to you on the way of your conversion. Little children, be aware that your life is short and passing. Therefore, yearn for eternity and keep preparing your hearts in prayer. I am with you and intercede before my Son for each of you, especially for those who have consecrated themselves to me and to my Son. Thank you for having responded to my call.” ~Monthly Message, Medjugore, October 25, 2014. Did not the ark of Noah’s day bring salvation to him and his family? How much more then will the Ark of the New Covenant bring us our salvation won for us by her Son by bringing us to her Son? Both are the same publication minus end-notes for the pamphlet, not enough room. Also, during the week, come back and here and click on the current week’s reflection if you really want to enhance your experience. They are not required to make your consecration, but they may help you on your journey. To make the consecration: Recite the consecration prayer in the back of the pamphlet hopefully in a Church or before the Blessed Sacrament, though it’s not required but desired. You can also recite the prayer before a picture of Jesus and Mary… After you recite the prayer, sign and date that page making your commitment official. AFTER you make your consecration you must commit to live your life worthy of a Child of God, striving after holiness, avoiding as much as possible the near occasions of sin. Which I find is often aided by frequenting the sacrament of Confession for those who are living the fullness of the faith – Catholic. YOU ARE NOT expected to be perfect after this experience, merely commit yourself to living a better life. True Perfection is not attainable this side of Heaven. Worth shooting for, though. Then every year, on that Marian Feast day, you will renew your consecration and commitment to living for the Sacred Heart through the Immaculate Heart by reciting the prayer and once again dating the same document with the new year. Please do not hesitate or say, “I’ll do this later”, because later may never come. St. Maximilian Kolbe, one of the four Saints you’ll read about in 33 Days to Morning Glory, experienced the urgency of this consecration in his own time in Poland. The year was 1936. 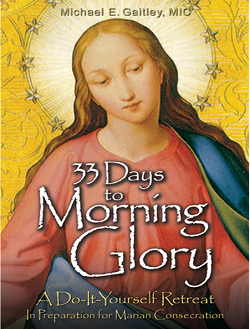 His, in fact, was the largest Marian Consecration effort the Church had ever seen… until today. Take a moment and read his story. You might be surprised on how it parallels with us in the United States and around the world today. History does tend to repeat itself… So let’s not wait, and let’s get “our ticket” and take our seat on the Ark of the New Covenant!